This book relates the 1936 trial of Lucky Luciano, through the experience of the witnesses. The most notorious of these were the women who worked as New York syndicate madams and prostitutes in 1933-1936. The book asserts the opinion that the conviction was appropriate, based on the fact that at least two of the co-defendants were highly placed in Luciano's drug and liquor trades. In 1936, the New York trial of "Vice Czar" Lucky Luciano, for the crime of compulsory prostitution, resulted in his conviction. This book addresses the other side of the Luciano trial, the story of the low-level street people who were brought into the trial to act as material witnesses. The Case Against Lucky Luciano spotlights a trial that’s been called a miscarriage of justice. This book examines these women through their relationships with the defendants, the DA, and each other in their sporadic attempts to go straight. Now, a True Crime Mafia book written about women – as well as new information about the “Man Who Modernized the Mafia," Lucky Luciano, and the racketeers who went on trial as his co-defendants. This book relates the 1936 trial of Lucky Luciano, through the experience of the witnesses. The most notorious of these were the women who worked as New York syndicate madams and prostitutes in 1933-1936. On April 1, 1936, New York Detectives arrested him in Hot Springs. A tug of war ensued as Dewey's district attorneys wrestled with Hot Springs authorities to keep the gangster in custody. On April 18, 1936, Arkansas Governor J. Marion Futrell signed the extradition papers that forced Luciano back to New York. Book recommendations: Thee best nonfiction reads about Dillinger and other early 1900s gangsters. Aside from respect and admiration for the strategy conceived by Thomas Dewey, the tone is not strongly in favor of the prosecution. 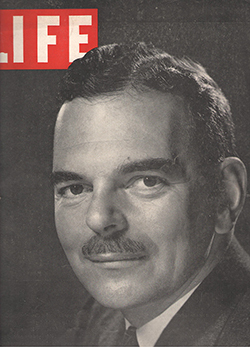 The book makes it clear that Special Prosecutor Thomas Dewey had an innate advantage against the witnesses: social position and old money, which helped to catapult him to a position of special prosecutor in New York City. As a result of that conclusion, the book asks the reader to weigh the power of the special prosecutor against the obscurity and powerlessness of the witnesses. An artist’s rendition of the witnesses’ testimony in the Luciano trial, as portrayed in a 1930s detective magazine.